English side Arsenal have shortlisted another defender Layvin Kurzawa of AS Monaco for the coming transfer window next month, according to DailyMail. Kurzawa has been on several clubs radars since the summer after his performance for the French side last season. 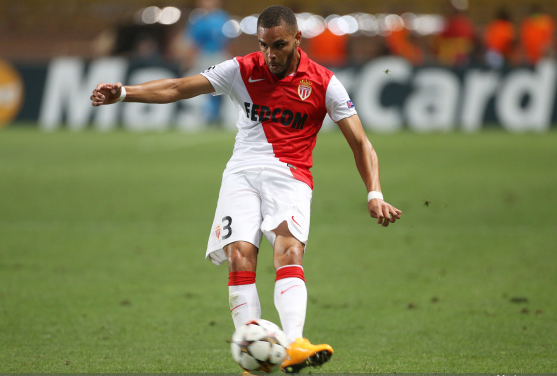 He played an impressive part for Monaco that finished on the second spot behind Paris Saints Germain last term. The 22-year-old enjoyed his first game for his country France last month when he was given full 90minutes on his debut to prove himself against Albania. The Gunners have reportedly sent scout Gilles Grimandi to keep track of the French full-back. The North Londonside wll not get him easily as reports have claimed that local side Manchester City along with German giants Bayern Munich are in the race for the talented left-back. Kurzawa who is valued at £15 million by his side Monaco will have to decide the next destination. Both the three sides will not have a problem in spending such amount on this wonderful player. Premier League outfit are looking to strengthen their defensive areas. Arsene Wenger is hoping to secure a deal for a defender and a midfielder in January to add some depth in his squad to achieve the desired results. Kurzawa has made 14 appearances so far this season for the French side.